It is no news, that Video Slot developers can take their inspiration from where ever. One of the never-ending sources of inspiration is TV shows and movies, which have brought us some very nice franchised slot games, including Blueprint’s Top Cat. This tip top chief and king – T.C. amongst his closest friends – had his own cartoon aired in 60’s and now, decades after, he has become the shining star of Video Slot world! Top Cat is cartoon styled Video Slot with several features to trigger and a lot of fun to experience. This game is brought to us by Blueprint Gaming, which has been part of German Gauselmann Group since 2008. Blueprint Gaming might not yet be the biggest name in the industry, but it definitely has a huge potential to get even more recognised amongst both, the players and operators. With colourful graphics and fresh themes, their games have already become popular quite widely. Blueprint has created a nice selection of unique and quality Video Slots and Top Cat is indeed a great example of that. Wish Upon a Jackpot is another example from Blueprint’s game selection. Top Cat and his gang are alley cats from the darks alleys of Manhattan, so it suits them to have the reels set against a wooden fence, behind which you will see the silhouette of the never-sleeping Metropole. Trashcan, banana peel and some other small details make sure that this game doesn’t become too fancy to dim Top Cat’s own fanciness. Top Cat Video Slot is a colourful game with several symbols you might recognise from the cartoon. However, traditional card deck symbols J-A represent the lowest paying symbols. Top Cat’s friends, Fancy, Spook, Choo-Choo, and Brain will bring medium payouts, while Top Cat himself is the top player of the game and will bring the biggest payout. There is 5 tip top Bonus Rounds to trigger with the Bonus Symbol. This symbol shows the whole gang with fat money bags and can land on reels 1, 3 and 5. Besides Bonus Symbol, there is also a Wild Symbol on the reels of Top Cat Video Slot. This symbol is a plate with fish bones on it and can substitute all the other symbols, except Bonus Symbol. Third special symbol of the game is Jackpot King symbol, which might take you to Jackpot game. Top Cat Video Slot is franchised game with a colourful cartoon theme. On these reels, you will meet Top Cat and his gang, who are always trying to come up with new ways to earn money. This is not very easy, especially when Police Officer Dibble is constantly trying to drive the cat gang away from the city. Can you help these cats to escape from Dibble once again? As we mentioned, Top Cat Video Slot is franchised game, so it is no surprise that it has as astonishing graphics and design as the actual cartoon. Colours and set up of the game are flawless and the soundtrack of the game gives the nice and adventurous feeling while spinning the reels. 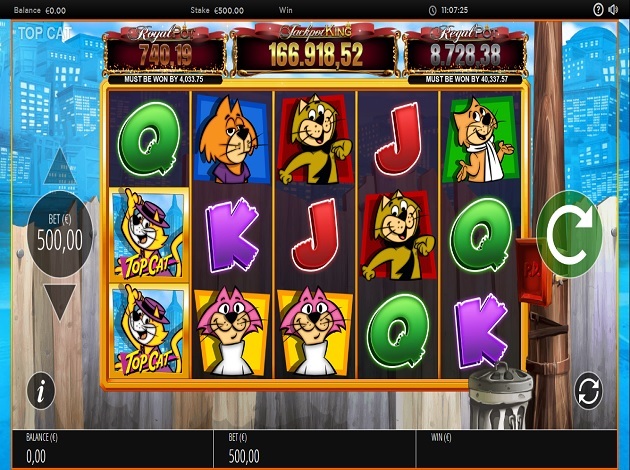 Top Cat Video Slot presents you 5 reels and 3 rows filled with colourful symbols. You have 20 fixed paylines to get the winning combinations on, and you can set the bet from the control panel. Just click the total bet button and you will see a selection of bets to choose from – and then you only need to spin the reels. Land the Bonus Symbol on the reels 1, 3 and 5 and you will trigger The Master Plan Bonus Round. 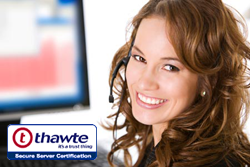 There are 5 Master Plans to choose from and all of them reveal different Bonus. Two of the bonuses are picked and click styled bonuses and three of them are Free Spins rounds. Now we are going to tell you what those two pick and click bonuses are all about. Cash Picker Bonus: Garbage truck drops trash cans for you to choose from. Choose cans until Dibble jumps out from one. Maharaja Heist! : This bonus has 2 stages. First, you will choose gang members and try to reveal multipliers. The second stage is Big Money Board, which will bring you actual cash prizes. As mentioned above, there are 3 different Free Spins rounds in Top Cat Video Slot. Land 3 Bonus symbols on the reels and choose one of the Masterplans revealing one of the following Free Spins rounds. Construction Site Wilds! : You will play this feature with 5 reel sets. Proceed on reel sets by collecting Top Cat Stickers. Diner Free Spins: You will see Dinner Tickets on the right side of the reels and every time you land one or more special Scatter symbols on the reels, the same amount of dinner tickets will drop. Free Spins Feature will continue until there are no dinner tickets in sight. Dibble’s Free Spins: For this feature, special Wild Symbols are added on the reels. These symbols act like normal Wild Symbols, but after the first spin they will move to another position and continue to float around after every spin. If two of these Wilds collide, they will expand to cover the whole reel. When Top Cat jumps out from the trash can, he will award you with one of the following features. Choo’s Piano Wilds – Random Wild Symbols will appear on the reels. Brain’s Water Wilds – Brain unleashes fire hydrants under each reel. The water might turn one or more of the reels Wild. Benny’s Colossal TVs – Benny appears while reels are still spinning. He will press the button on his remote and as TV symbols on the reels. When reels stop spinning, each TV symbol will reveal similar symbol underneath. Spook’s Mice is Nice – Mice will appear on the reels and arrange symbols to create winning combination. Now Top Cat might blow his whistle and make the mice arrange symbols again. This continues until Officer Dibble appears. In addition to these random features, Top Cat Video Slot has also Fancy Fancy’s Hot Dog Respins Feature. This will trigger when you get the full Hot Dog Wild Symbol covering the entire 5th reel. You will then get one respin, after which the Hot Dog Wild will move one reel to left. This continues until Hot Dog has reached the 1st reel. Don’t forget, that you have also the Jackpot King feature to trigger by landing 5 Jackpot King Symbols. Jackpot Game is played with a different set of reels, on which your aim is to collect as many crowns as possible. Crowns will build you’re the multiplier and after you have collected them, you will choose one of the treasures to trigger re-spin, wheel spin or collect. He is the boss, he’s a pip, he’s the championship – and now you can be all that too! Jump into adventure with Top Cat and his gang, try to escape from Dibble’s hands and get the most out of this exciting and fun Video Slot!